Best Buy announced this morning that shoppers who pre-order Sprint’s new HTC EVO 4G LTE smartphone through their site or one of their stores will receive a $50 Best Buy gift card as a bonus. The Sprint HTC EVO 4G LTE is set for a May 18 launch. The new smartphone has a big touchscreen, 4.7 inches. It features a 1.5GHz dual-core processor, has 1GB of RAM, and includes 16GB of onboard storage space. There’s an 8 megapixel rear facing camera and a 1.3 megapixel front facing camera. It comes loaded with Android 4.0 (Ice Cream Sandwich). While it’s capable of 4G LTE connectivity, Sprint doesn’t actually have that network up and running yet, so speeds won’t quite be as fast as some may expect when they first get this phone. Sprint says 4G LTE service is expected to begin rolling out in Atlanta, Baltimore, Dallas, Houston, Kansas City, and San Antonio by mid-2012. 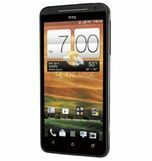 The Sprint HTC EVO 4G LTE is priced at $199.99 with the purchase of a two-year Sprint service contract. Off contract, the smartphone is listed at $699.99 (though for a short while, Best Buy mistakenly listed the off contract price as $99,999.99, that has since been corrected). Best Buy’s $50 gift card bonus pre-order special runs through July 7, 2012, so apparently the $50 gift card remains as a bonus after the phone is launched. Best Buy was not clear on that point. The deal can be viewed at BestBuy.com here.